To build on discussions at the multi-sectoral seminar on third party violence on 14 March 2008 and the multi-sectoral meeting on 4 July 2008 to gather further information on how sectoral social partners at the national level are tackling the issue of third party violence in the workplace. This should contribute to the drafting of multi-sectoral principles and guidelines at European level on how this challenge can be addressed by social partners at the local level. 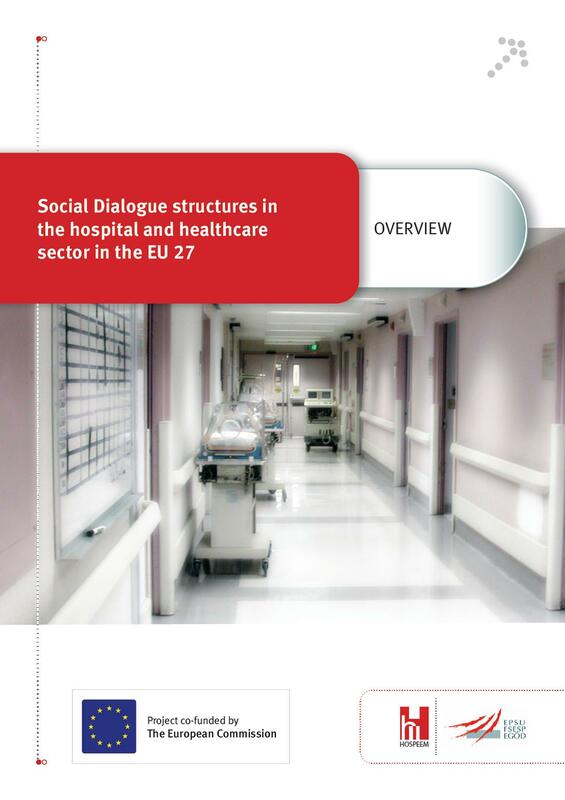 To assist the sectoral employers organisations involved in the process to date (HOSPEEM, CEMR, CoESS and Eurocommerce) to build up a multisectoral employers’ position and to prepare the employers’ group to eventual negotiations of a multisectoral social dialogue instrument (framework agreement or similar) on third party violence. To organise a multi-sectoral conference with around 120 participants to present the best practices gathered in the information collection exercise and to discuss the potential outline of a multi-sectoral guidance document. Possibility to launch a joint multi-sectoral declaration on the importance of the issue and key principles for tackling third party violence at workplace level and to announce the intention to prepare joint guidance or another social dialogue instrument. According to research carried out by the European Foundation for the Improvement of Living and Working Conditions in the European Working Conditions Survey, approximately one in ten workers in the European Union report that they have suffered violence, bullying or harassment at work in the previous year (results 2005 survey). According to data from the survey, third party violence at the hands of clients, customers or patients is more common than violence suffered at the hands of work colleagues. Threats of violence and actual violence from third parties are most common in a number of sectors including health and social work, transport, recreational activities, public administration, air transport and education, but are also widespread in other sectors including retail and private security. The impact on the mental and physical health of worker of such experiences is significant and ranges from distress and feelings of humiliation suffered to actual severe physical injury (or even death) and severe mental trauma often leading to long absences from work (and associated lost productivity) and difficulties with staff retention. The table below shows the significance of the problem of violence and harassment in the workplace in relation to overall absence due to work related health problems, as well as the magnitude of the number of days lost per year. The cross-sectoral social partners BusinessEurope, ETUC, CEEP and UEAPME already recognised the importance of the issue of violence and harassment in the workplace in their autonomous framework agreement on work-related stress, signed in October 2004. Considered as one of the important sources of stress in the workplace, it was seen to be sufficiently important to warrant a separate autonomous framework agreement. A joint seminar on harassment in the workplace was organised in 2005 as part of the 2003-2005 work programme of the cross sectoral social partners. 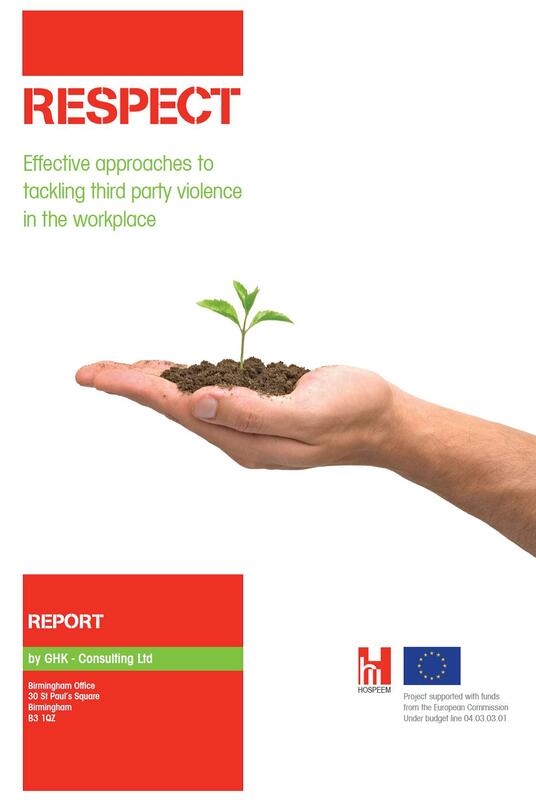 At the same time, the European Commission launched its consultation on the issue of violence at work, which strongly emphasised the importance of tackling third party violence. In their 2006-2008 cross-sectoral social partner work programme BusinessEurope, ETUC, CEEP and UEAPME committed themselves to negotiating an autonomous framework agreement on harassment and violence. Negotiations started in February 2006 and ended in April 2007. The agreement reached underlines that the harassment and violence are unacceptable and it is in the common interest of the social partners to address the issue as it can have serious social and economic consequences. The cross-sectoral agreement moves on to emphasise the importance of existing health and safety regulation which defines an employers’ duty to protect workers against harassment and violence in the workplace. In its introduction, the agreement specifically refers to third party violence and harassment as one of the areas to be addressed, but is not later referred to in more detail, leaving it up to national social partners to decide whether to cover this aspect in their implementation agreements. The cross-sectoral agreement aims to raise awareness of the issue and provide employers, workers and their representatives with an action-oriented framework to identify, prevent and manage problems of harassment and violence at work. It goes on to describe the phenomenon; how to prevent, identify and manage it; as well as setting out the implementation and follow-up process of the agreement. National member organisations of the cross-sectoral social partner are currently in the process of implementing the agreements at national level in accordance with procedures and practices specific to management and labour in the EU and EEA countries. The deadline for implementation is April 2010.